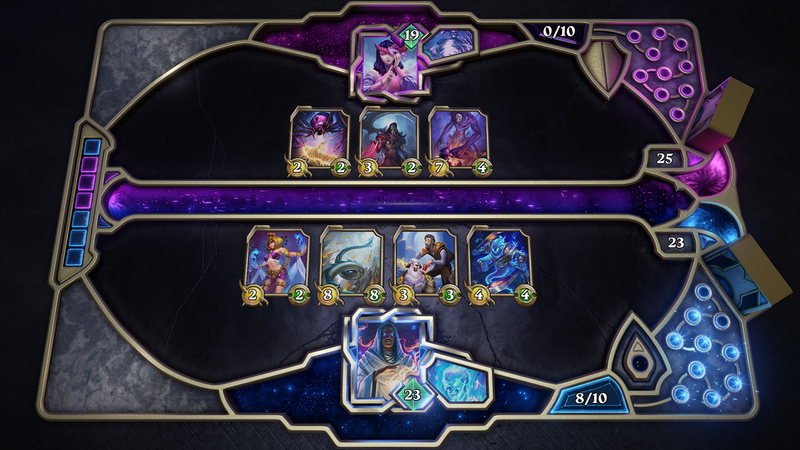 Gods Unchained is a trading card game that is mechanically similar to Hearthstone. Players start off by building their deck from hundreds of unique cards by buying card packs all with the chance to contain uncommon or rare ones to add to your collection. Powered by the Ethereum Blockchain, players are the sole owners of the cards they accumulate, as ERC721 tokens, players can buy, sell and trade their cards to assemble a powerful deck. A new paradigm of gaming: immutable, transparent, and infinitely extensible. Fast, turn-based and multiplayer-driven gaming. Competitive weekly tournaments with massive prizes. Win, and have your victory recorded on the blockchain for eternity. Playing games is fun; At least for gamers like me; but playing games and earning in cryptocurrency is much more fun. This is the reason I always get fascinated by games built on the blockchain technology. Yet again; I found another game that you would like, and if you have played card games like "Hearthstone" before, then you would certainly be thrilled to know that you can now earn while playing card games - I present to you Gods Unchained. From childhood, I have been a fan of games and have played every game that I could get my hands on from sega, nitendo,Gameboy,Ps 1-3,X-box, among others. On these various players, there were always a whole wide of games to choose from. I really enjoyed almost all the games on these players. Among all these games I never got the time to make a written review about them. I only reviewed these games with friends and other gamers by mouth. Today am officially making a written review. My review is going to be on a special game called Gods Unchained. This game an e-sports game on the Ethereum network, which allows its users to collect and trade deck of cards for eth.